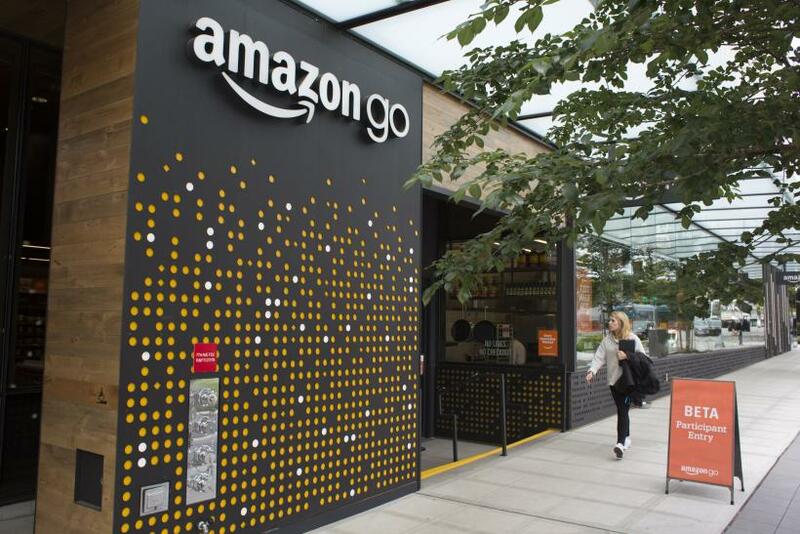 Just a month after unveiling its first cashierless Amazon Go store, Amazon (NASDAQ:AMZN) is already planning to expand the concept. The company is planning on adding as many as six new locations this year in cities like Seattle, where the first one opened, and Los Angeles, according to Recode. The news is the first indication that Amazon is happy with the store's performance, and also the earliest sign of the company's future strategy with the "Just Walk Out" technology. Some have suspected that Amazon would add it to Whole Foods locations, or sell or license it to other retailers. Long lines outside the store greeted customers in the first days after Amazon Go's opening, and most visitors seemed to be wowed by the experience. The store relies on a network of cameras and sensors to monitor what shoppers take off the shelves and charges them accordingly. Visitors download an app before arriving at the store, then scan it at a turnstile upon entering. After they exit, they get billed for what they took. Currently, the Amazon Go store rates 4.5 stars on Yelp from 31 reviews. Reviewers called it a "fun way to shop" and a "very cool experience". Shoppers commented on the fresh food, selection, and prices, in addition to the technology, and the attention the store has gotten both from the media and from customers seems to indicate the concept would work well if it was expanded. Amazon rose to prominence as an online retailer, but in recent years, the company seems to be realizing the limits of e-commerce. While the company is the dominant online retailer, its recent efforts at reaching out to customers have mostly come in the brick-and-mortar world. In 2015, the company opened its first Amazon Books store in Seattle, realizing there's still an audience for physical bookstores. It's used those stores to promote gadgets like the Echo and Kindle, and also leveraged its reviews and Prime benefits, placing top-rated books prominently in the store and offering lower prices for Prime members, which gives customers another reason to join its $99/year loyalty program. Today, Amazon has 13 bookstores, with three more on the way. Last year the company made its brick-and-mortar ambitions clear with the acquisition of Whole Foods, giving it more than 400 supermarkets in the U.S. Since taking over the popular natural foods chain, Amazon has lowered prices, rolled out free two-hour delivery in select cities, and made Whole Foods purchases eligible for 5% cashback for Amazon credit card holders. The expansion of Amazon Go seems to be just the latest iteration of this strategy. Like groceries, convenience-store items like sandwiches and drinks aren't well-suited to the e-commerce channel, but this is a huge market, accounting for $233 billion in annual domestic sales. Brick-and-mortar retail is harder to scale up than online, as opening new stores means finding sites, building them out, and then staffing them, which may explain why Amazon is only adding six new stores at this time. However, the popularity of the first location may encourage Amazon to eventually ramp up the expansion, especially as the Just Walk Out technology gives it an advantage over competitors and acts as a halo for the brand, as consumers hate waiting in checkout lines. The incredible thing about Amazon is that the company is undertaking so many experiments at once that it doesn't need any single one to work in order for the company to be successful; the upside to a successful new business vastly outweighs the cost of a risk that doesn't pan out. That mentality has led to ideas like Amazon Web Services, Prime, Fulfillment, and video streaming, which have made Amazon such a colossus business and so difficult to compete with. That's why the company can afford flops like the Fire phone. 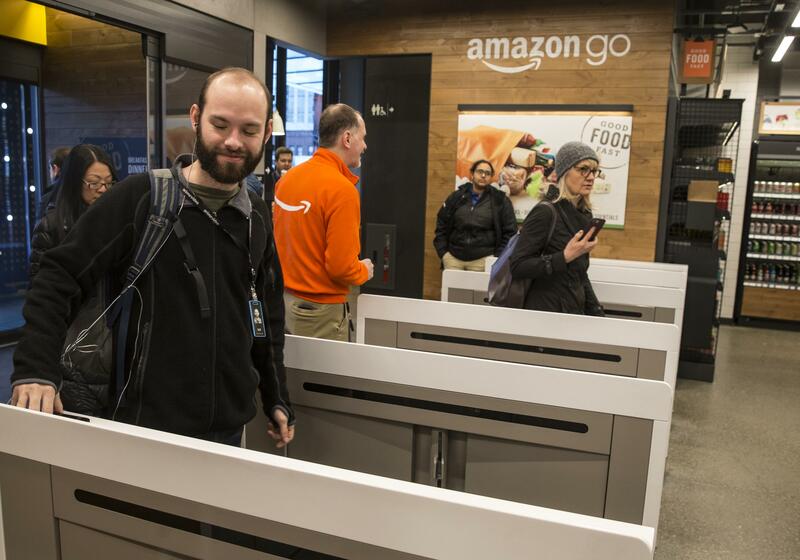 It's still early in the game for Amazon Go, but based on the initial feedback and the power of the new technology, the cashierless store looks like a success. Don't be surprised if this turns into a more significant revenue stream a few years down the road. John Mackey, CEO of Whole Foods Market, an Amazon subsidiary, is a member of The Motley Fool's board of directors. Jeremy Bowman has no position in any of the stocks mentioned. The Motley Fool owns shares of and recommends Amazon. The Motley Fool recommends Yelp. The Motley Fool has a disclosure policy.